A good stockpile of food will go a long way toward helping you survive the aftermath of any disaster or life crisis, especially when grocery stores are emptied. In fact, I’d go so far as to say that there are people who are not preppers who nevertheless instinctively know to stockpile food. This really isn’t surprising when you consider that through most of mankind’s history, stockpiling food was essential to survival — specifically surviving the winter months. During those months, wildlife is bedded down trying to stay warm and plants are dormant. If one didn’t have a good stockpile of food, their chances of survival were pretty darn slim. Junk food – Lots of carbs, lots of sugar, lots of salt and lots of chemicals, but not much nutrition. Fresh food – Foods that won’t keep without refrigeration. Frozen food – It will begin to spoil within two days of losing electrical power. 1. Beans – This is one of the more common survival foods. Not only are beans plentiful and cheap, but they provide a lot of protein — something that’s hard to find without meat. 3. Canned vegetables – A good way of adding micro-nutrients to your survival diet. Canned goods keep well, long past the expiration date on the label. 4. Canned fruit – For something sweet, adding canned fruit allows you a nice change of diet. Being canned, they keep as well as the vegetables do. 5. Canned meats – Of all the ways of preserving meat, canning is the most secure in protecting the meat from decomposition. While it doesn’t typically have as good a flavor as fresh meat, it still provides animal protein at the most reasonable price you’ll find. 6. Honey – As long as you can keep the ants out of it, honey keeps forever. Plus, it is beneficial during cold season. 7. Salt – Nature’s preservative. Most means of preserving foods require the use of salt. In addition, our bodies need to consume salt for survival. 8. Pasta products – Pasta is a great source of carbohydrates, allowing you a lot of variety in your cooing. Besides that, it’s a great comfort food for kids. Who doesn’t like spaghetti? 9. Spaghetti sauce – Obviously, you need this to go with the pasta. But it is also great for hiding the flavor of things your family doesn’t like to eat. Pretty much anything, with spaghetti sauce on it, tastes like Italian food — whether you’re talking about some sort of unusual vegetable or a raccoon that you caught pilfering from your garden. 10. Jerky – While expensive to buy, jerky is pure meat, with only the addition of spices. Its high salt content allows it to store well, making it a great survival food. It can be reconstituted by adding it to soups and allowing it to cook. 11. Peanut butter – Another great source of protein and another great comfort food, especially for the kiddies. It might be a good idea to stockpile some jelly to go with it. 12. Wheat flour – For baking, especially baking bread. Bread is an important source of carbohydrates for most Americans. Flour also allows you to shake up the diet with the occasional batch of cookies or a cake. 13. Baking powder & baking soda – Also for making the bread, cookies or cakes. 14. Bouillon – Otherwise known as “soup starter,” this allows you to make the broth without having to boil bones on the stove for hours. Soups will probably be an important part of anyone’s diet in a survival situation, as they allow you to eat almost anything. Just throw it together in a pot and you’ve got soup. 15. Water – We don’t want to forget to stockpile a good supply of water. You’ll go through much more than you expect. Experts recommend a minimum of one gallon per person per day, but remember: That’s just for drinking. While this doesn’t constitute a complete list of every type of food that you should stockpile, it’s a good starting point. You’ll want more variety than this, but in reality, your family can survive for quite a while with just the 15 things on this list. As your stockpile grows, add variety to it. One way of doing that is to create a three-week menu, with the idea of repeating that menu over and over. If you have everything you need to cook everything on that menu, you’ll have a fair assortment of food, and enough so that your family shouldn’t grow tired of it. 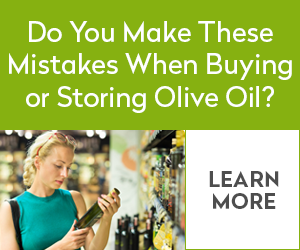 Discover The Secret To Saving Thousands At The Grocery Store. Read More Here. Previous: How Can The Bible Be Trusted?